ooooooo sweet. I love the burlap - very cool texture. Such a sweet card! Love the burlap too. I love using burlap. :) Have a blessed day! This is gorgeous!! 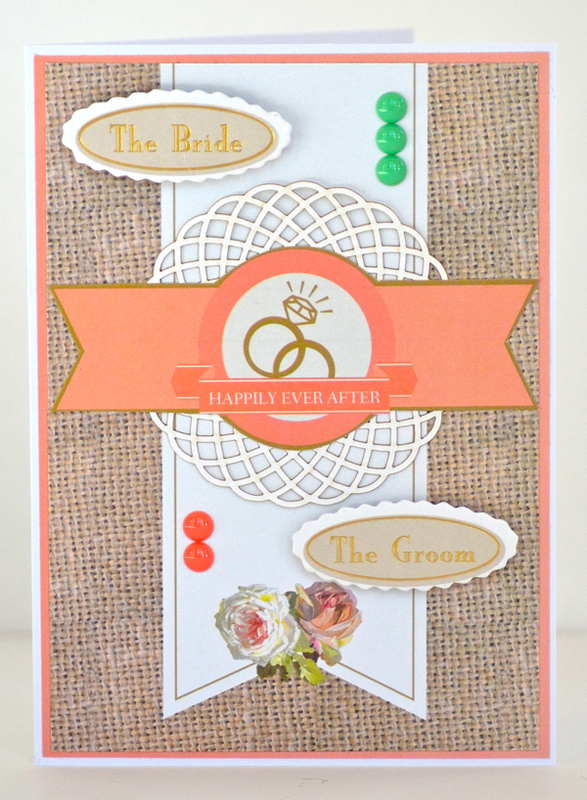 I love love love the colors and that burlap background!!!! 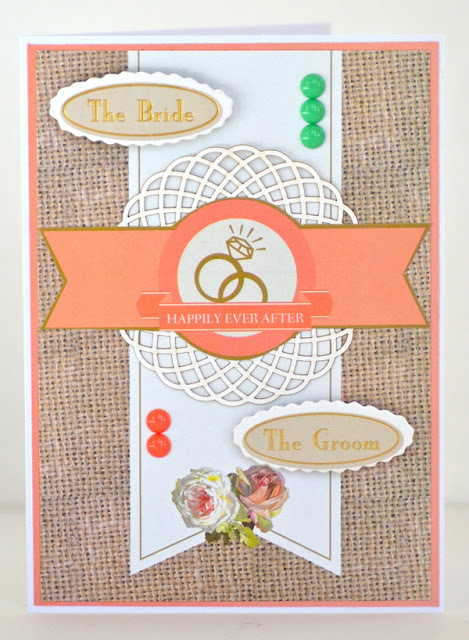 Such a pretty card, count me as another fan of the burlap! what an adorable card! i have to say i have never tried ruby rock it- in fact i don't think i have heard of them-- looks awesome!! So pretty! I love the burlap! Beautiful wedding card. Love the colors with the burlap. So pretty Lisa!! 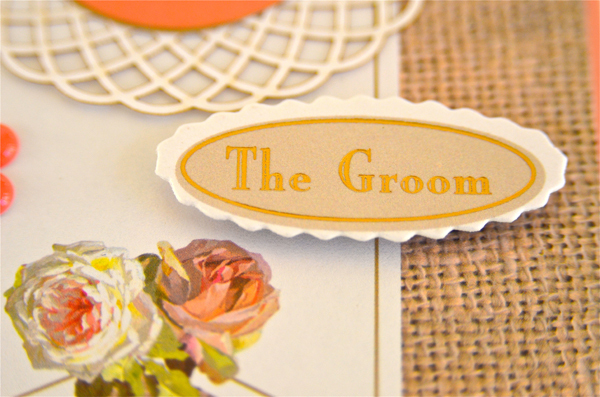 Love that burlap paper for the background of your card and the use of the Bride and Groom pieces! ooo that PP is so pretty and I love how your card came out! Beautiful!! This turned out beautifully!! And I love that doily!! So sweet! Great card, Lisa! Love the doily! Such a soft pretty card!